William Floyd boys’ varsity soccer takes on Comsewogue in a Brookhaven Summer League game. UPDATE as of August 1, 2018: Girls’ varsity won the big school championship game defeating Longwood 3-0! They will go for the Suffolk Championship on Thursday night! UPDATE as of July 31, 2018: Boys’ junior varsity (2-0) and varsity (1-0) each took home the large school championships tonight! They will play for the Suffolk Championship on Wednesday night! Girls’ varsity is up for the large school championship on Tuesday night! UPDATE as of July 30, 2018: The William Floyd soccer program has excelled in the Brookhaven Summer Soccer League as all three teams – boys’ varsity, girls’ varsity and boys’ junior varsity – have reached the championship games in their respective divisions. The boys’ varsity team, coached by Paul Paniccia, finished with a regular season record of 7-2-1, good for second place in the boys’ large school varsity division. In their two playoff games, the Colonials defeated Central Islip by a score of 3-1 and Newfield in a 1-0 shutout, setting up a matchup with Longwood for the championship at Diamond in the Pines in Coram on Monday, July 30 at 6:45 pm. 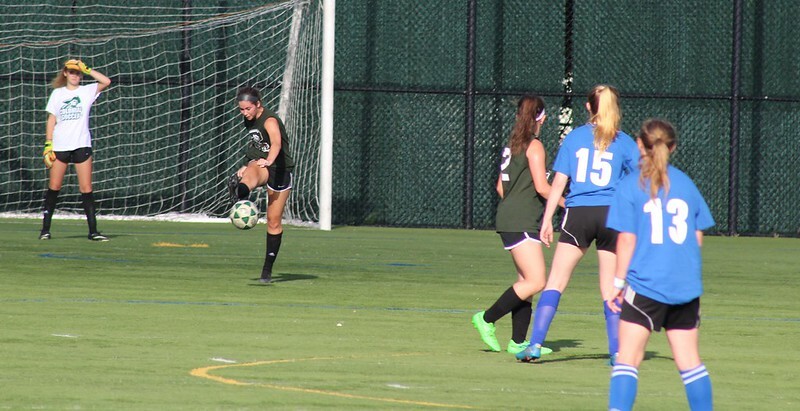 The girls’ varsity team, coached by Kayleigh Nolan, finished up their regular season with a 4-4-1 record before defeating Comsewogue by a score of 3-1 in their lone playoff game in the girls’ large school varsity division. They too will face off against Longwood in the championship game at Diamond in the Pines in Coram on Tuesday, July 31 at 5:30 pm. The boys’ junior varsity team, also coached by Paul Paniccia, completed their regular season with a 6-2-0 record, good for first place in the boys’ large school junior varsity division. Following two playoff victories against Newfield by a score of 4-0 and Ward Melville by a score of 3-2, they will look to defend their Brookhaven Summer League Title in the championship game against Patchogue-Medford at Boyle Road in Selden on Monday, July 30 at 6:45 pm. Congratulations to all three teams and best of luck in your championship games! For more information regarding the Brookhaven Summer Soccer League, field directions and more, please click here. The boys’ varsity, junior varsity and girls’ varsity soccer teams are using Brookhaven’s Summer Soccer League as an opportunity to develop their young student-athletes, teach the fundamentals of the game and enhance team chemistry. The season is more than halfway through and all three teams have found success. Both boys’ varsity and junior varsity have winning records and are at the top of their divisions. Girls’ varsity is right in the middle of their division, with a record hovering around .500. Girls’ varsity soccer battles Centereach in a summer league game. “Summer league is an opportunity to get the kids playing and getting together to build chemistry and morale,” said Paul Paniccia, boys’ varsity and junior varsity summer head coach. “As coaches we get to observe players and the team so we can start planning for the upcoming fall season.” Both varsity and junior varsity boys’ soccer programs have achieved success in previous summer league seasons, with varsity winning the championship in 2016 and junior varsity in 2017. This league is a tremendous opportunity for William Floyd’s younger student-athletes to get acclimated to the higher level of play before the school year starts up again. “Summer league allows us the flexibility to give some of our junior varsity players an opportunity to play at a varsity level and some of our incoming eighth graders some experience playing at the junior varsity level,” said Paniccia. Boys’ junior varsity aims to repeat as summer league champions. Along with youth, both varsity teams have plenty of experienced players entering their senior season. The boys’ team consists of nine seniors – Sebastian Paniccia, Mert Altun, Ethan Loarca, Jonathan Vanegas, Anthony Garcia, Nicholas Pantelidis, Jefferson Guerra, Dylan Maceroni and James Mulvaney. “Most of the players have been playing in our school program since they were in seventh grade,” said Paniccia. More photos are available in the flickr album below!